If the bid is accepted on October 4, it would be one of Cupertino's largest aquisitions - and could signal extra security built into future Apple devices. AuthenTec specialises in mobile phone security and, according to the merger documents, is already developing 2D fingerprint scanners for Apple. 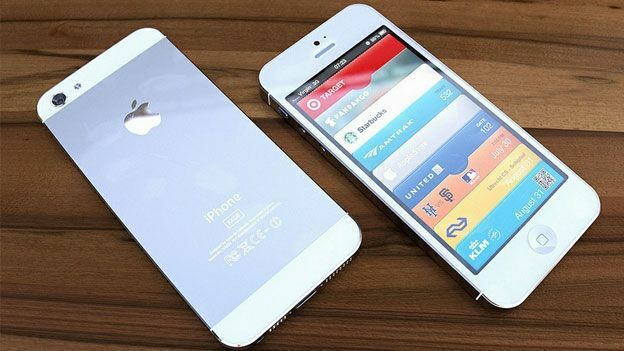 The results could appear as soon as Wednesday, when the iPhone 5 is expected to be revealed. The extra feature would add an extra layer of security to unlocking handsets, running apps or authenticating payments from the handset. Apple is also planning to unveil a new service, as part of iOS6, called PassBook - which lets you store loyalty cards, coupons and boarding passes for flights. The inclusion of PassBook and extra security will likely go hand-in-hand with NFC and forthcoming contactless payment options, allowing you to treat the iPhone 5 as an electronic wallet. Already some airlines in the US - such as Delta, American Airlines, United Airlines and Virgin Airlines - have confirmed Apple users will be able to use an iPhone to store bookings and boarding passes and check themselves in with the handset. Even if this new tech fails to make it into the iPhone 5, there's always the possibility of an inclusion in the next iPad.